Vespasian was the last in the "Year of the Four Emperors" and the first of the Flavian Emperors. 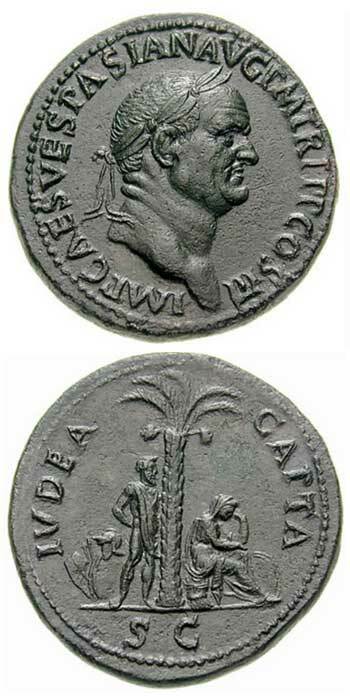 He was married to Flavia Domitilla and they had a daughter and two sons, Titus and Domitian, and both became emperors. 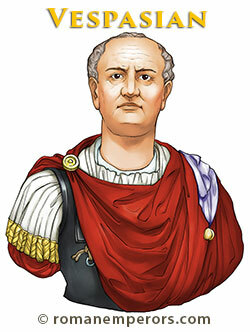 Vespasian was a seasoned battle commander who rose in the ranks of the Roman army. He served faithfully in Britain, and later the emperor Nero commissioned Vespasian to stamp out the rebellion by the Jews in Judaea in 66 A.D. He brought two legions (5th and 10th) and initiated the siege of Jerusalem, but when Nero committed suicide he charged Titus to finish the task, and Titus brought a legion with him (the 15th)to finish the war against the Jews. Vespasian was focused on returning to Rome and defeating and killing Vitellius and restoring order in Rome, after Nero had so squandered the cities wealth. Vespasian was a strong emperor and ruled favorably in Rome for 10 years, until he complained of a great pain in his bowels. He died at the age of 70 and the whole empire mourned his death. 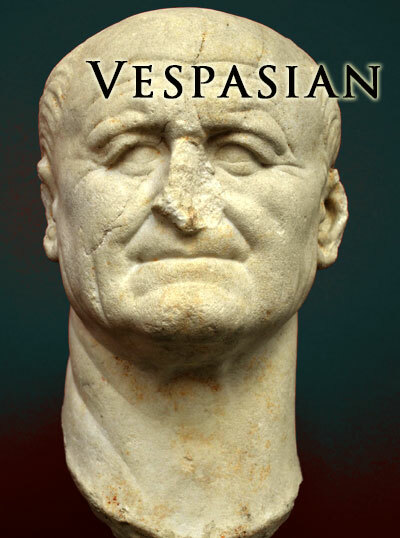 Vespasian founded the Flavian Dynasty and this opened a new chapter in Roman history.